Add a large ice cube to a glass, then fill with vodka, apple juice and cranberry juice. 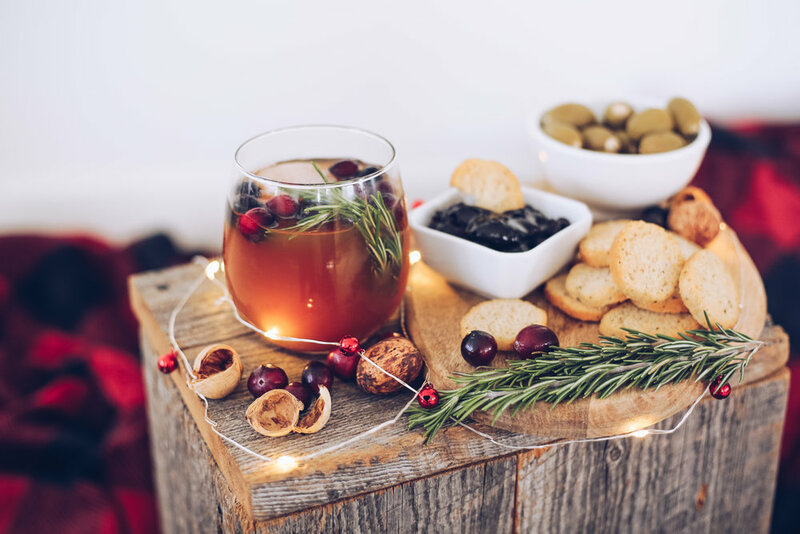 Garnish with cranberries and rosemary. Enjoy!